Unhappy sick young man is suffering from severe headache touching his head massaging temples indoors at home. Pain, tired youth and bad health concept. 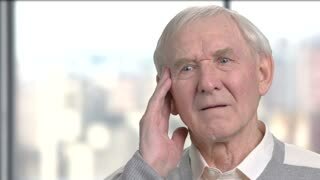 Unhappy senior man suffering from headache. Stressed elderly person having pain in his temples. Tired and depressed businessman with headache. Unhappy dark-skinned entrepreneur suffering from migraine close up. Stess and health problem. Afro-American businessman suffering from toothache. 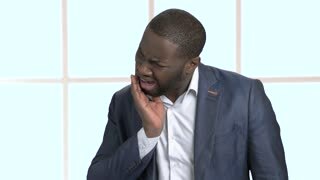 Dark-skinned guy touching his cheek because of severe tooth pain. Dental problem concept. Face of sick businessman close up. 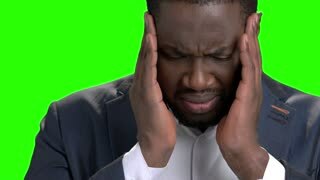 Afro-american manager suffering from strong headache on grey background. Human expression of pain. 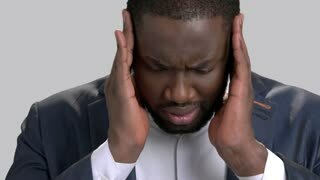 Boy suffering from headache. 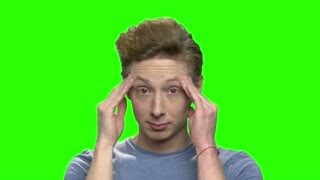 Unhappy caucasian teenager touching his head, massaging temples to reduce head pain. Green screen hromakey background for keying. Close up mature man having toothache. 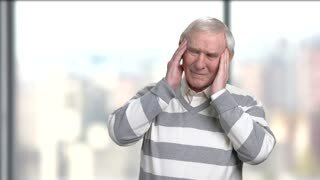 Unhappy senior man touching his cheek outside and suffering from teeth pain, blurred background.